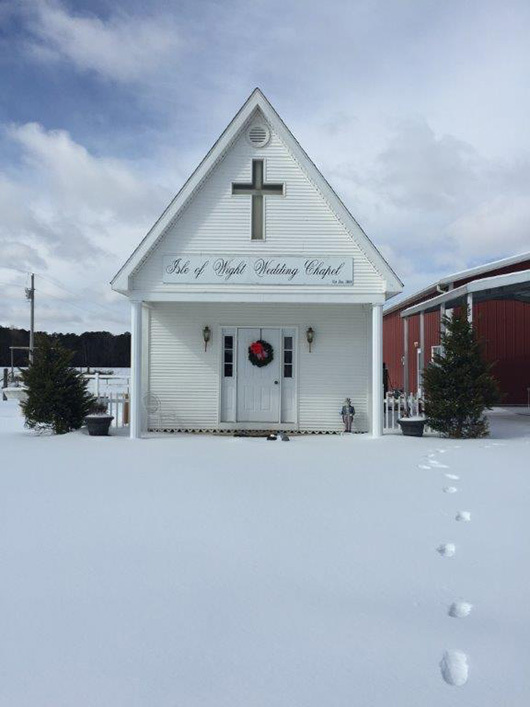 If you would like to know more about the Isle of Wight Wedding Chapel or are interested in having your wedding held at the chapel, please call or write to Janice Hardison at the address listed below. You may also e-mail Janice any questions you might have by clicking on the image of the chapel below. Click here to email Janice Hardison, Marriage Commissioner. To get directions to the wedding chapel, go to our Directions page. Please, make an appointment prior to driving to the chapel. Thank you.